Track all of your apps' vitals and optimize your app store presence to increase downloads and revenue. 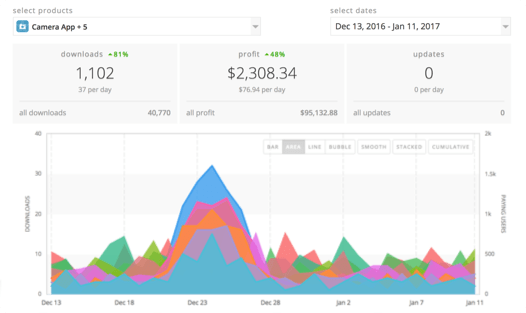 Get a bird's-eye view of the entire app market to quickly identify trends and evaluate new opportunities. Find qualified leads fast with smart filters. Reach out directly with personal contact information. Monitor performance, understand the competitive landscape, and optimize for growth. 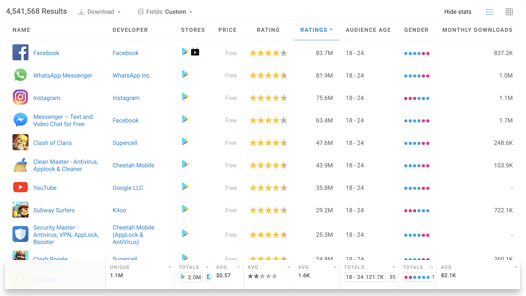 Get the most complete view into your app downloads and revenue to easily identify and analyze important trends. 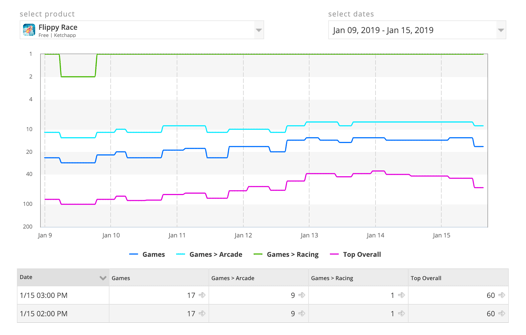 Easily analyze revenue from app downloads and in-app purchases, subscriptions, and ads together to see the complete picture and benchmark growth. 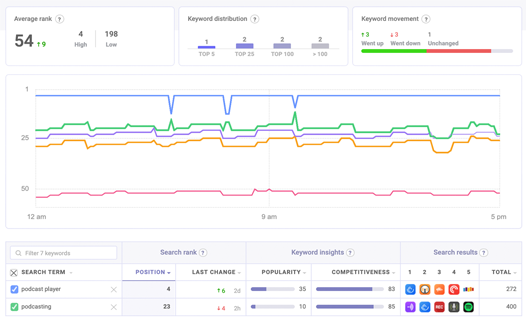 Keep track of where your apps stand for any keyword or phrase search in key markets across the globe. Analyze your results over time and turn competitor's results into new opportunities to outgrow them. 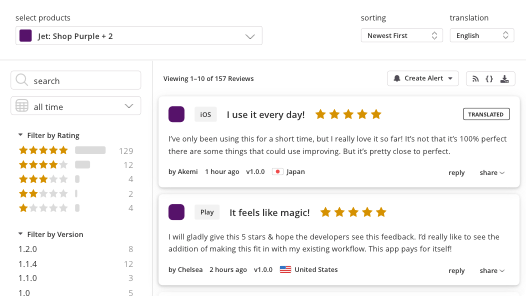 Turn reviews into useful feedback with automatic review collection and translation, and detailed filters. Reply to important reviews to increase customer satisfaction and improve your overall ASO. Get notified when new reviews are available so you can handle them quickly. 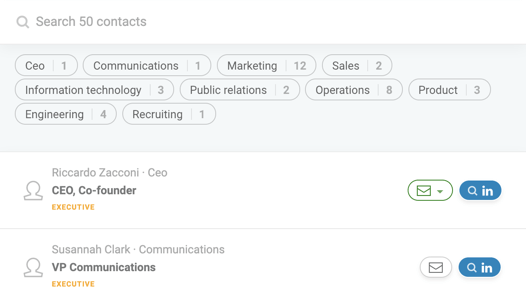 See where you and your competitors stand with hourly-updated ranks and react quickly as things change. Check out the current top charts in every country and for every category to see how competitive any app is. Analyze the entire app market with the most comprehensive insights for millions of apps—from download and revenue estimates to audience demographics and ad spending. Leverage insights to find hidden opportunities, qualify investments, and keep an eye on competitors. Increase your chances of closing and speed up your sales cycle by reaching out to the right target audience. Use intelligent performance, popularity and audience metrics to identify the right app publishers for your SDK and get direct emails for key contacts.